A small slice of paradise. Can you picture it? Most white beaches, an almost boundless clear blue sky, and pervasive perfumes that make you feel caressed by the wind. It is the beginning of a new world. Here, everything seems to have been created only for you. A Paradise Village is almost suspended between dream and reality. Listen with your heart, not your mind, and maybe you will understand. 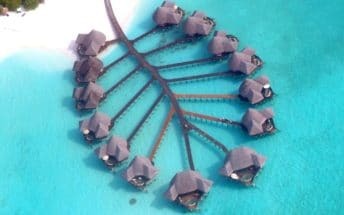 The Village – It lies on Kihaadhuffaru Island, in the Baa atoll, and is made up of typically Maldivian thatched bungalows, some set in parkland, some perched over the sea. Amenities include: conference room, fresh water swimming-pool (suitable also for children), boutique, 2 bars and wellness centre. 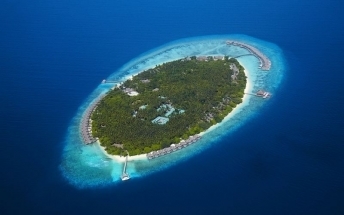 The beach – A typically Maldivian coral beach, drawn by the hands of Mother Nature: it’s like a dream! Reserved to our guests and ensuring privacy, it skirts the whole island with its white talcum powder sand. A nice pier is the starting point for snorkelling trips . Free beach chairs, beach umbrellas and canoes (you can easily reach the surrounding islets). For beach towels a deposit is required. Rooms – 46 standard rooms and 40 Superior rooms with a view. Comfortable and decorated in ethnic style, they are all a few steps from the sea. Facilities include: verandahs, king-size beds, private bathroom (hot and cold fresh water), air-conditioning, phone (national and international calls), satellite tv, hairdryer and mini-bar (for a fee). 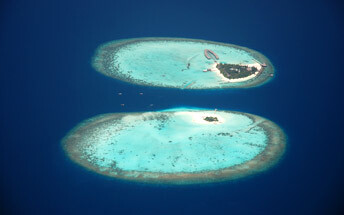 There are also 8 Deluxe Villas and 12 Deluxe Villas with a view, all having whirlpool bath and hi-fi with cd player. 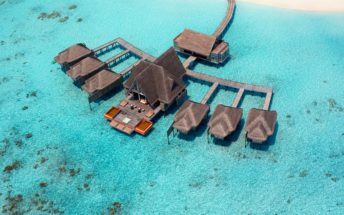 Most demanding customers can choose among 10 Water Villas and 2 Water Suites built on piles, with mini-swimming-pool and private access to the beach.